Information we collect: name, contact details, payment information e.g. your credit or debit card details, IP address, cookies and information from cookies, information about your computer or device (e.g. device and browser type), information about how you use our website (e.g. which pages you have viewed), the time when you view them and what you clicked on, the geographical location from which you accessed our website (based on your IP address), company name or business name (if applicable), VAT number (if applicable). How we use your information: for administrative and business purposes (particularly to contact you and process orders for goods and services you place with us), to improve our business and website, to analyse your use of our website, and in connection with our legal rights and obligations. Transfers of your information outside the European Economic Area: In certain circumstances we transfer your information outside the European Economic Area, including to the United States of America. Where we do so, we will ensure that appropriate safeguards are in place, including, for example, that the third parties we use who transfer your information outside the European Economic Area have self-certified themselves as compliant with the EU-U.S. Privacy Shield. Use of automated decision making and profiling: we do not use profiling or automated decision making. The data controller in respect of our website is Next Level Information Limited (company registration number: 06715020). You can contact the data controller by writing to Next Level Information Limited, Essex House 7-8 The Shrubberies George Lane, South Woodford, London, E18 1BD or sending an email to nli@nextlevelinfo.com. The data protection officer for the data controller is Document Lifecycle Management Ltd, a limited liability company registered in England and Wales (company registration number 10755078). You can contact the data protection officer by writing to Data Protection Officer, DLM Group, Unit 66, Chichester, Enterprise Centre, Terminus Road, Chichester, West Sussex, PO21 8TX, calling 01903 255389 or sending an email to dpo@dlm-group.co.uk. We collect and use information from website visitors in accordance with this section and the section entitled Disclosure of your information to third parties. Our server is based in the United Kingdom. Unless we are investigating suspicious or potential criminal activity, we do not, nor do we allow our website server provider to, identity you or attempt to identify you from the information collected via server logs. Legal obligation: recording access to our website using server log files is an appropriate technical measure to ensure a level of security appropriate to protect information collect by our website under Article 32(1) of the General Data Protection Regulation. We use a third party CRM system to store emails you send us. Emails you send us will be transferred and stored on our third party’s servers in the European Economic Area (EEA) and in the United States of America. For further information on the safeguards used for transfers outside the EEA, please see the section below entitled Transfers of your information outside the European Economic Area. When you contact us using our contact form, we collect the following information: your name, email address (both mandatory), subject line information (optional) and any information you input in the message field. Messages you send us are stored by our third party CRM system provider. For further information, please see ‘Email’ immediately above. Information about your call, such as your phone number and the date and time of your call, is processed by our third party telephone service provider and stored in the UK. We collect and use information from individuals who interact with particular features of our website in accordance with this section and the section entitled Disclosure of your information to third parties. Legitimate interest(s): we have a legitimate interest in using a Twitter feed and allowing users to interact with our Twitter feed in order to increase the engagement and value of our website to visitors. Twitter, Inc. transfers and stores information about you outside the European Economic Area, including to the United States of America. For further information on the safeguards used for transfers outside the EEA, please see the section below entitled Transfers of your information outside the European Economic Area. We collect and use information from individuals who place an order for our services in accordance with this section and the section entitled Disclosure of your information to third parties. When you place an order for goods or services on our website, we collect the following mandatory information: name, email address, billing address, company name (if applicable) and VAT number (if applicable). Legal obligation: we have a legal obligation to issue you with an invoice for the goods and services you purchased from us where you are VAT registered and we require the mandatory information collected by our checkout form for this purpose. When you place an order with us for services, we take payment by BACS transfer or via PayPal. Where you pay by BACS, we and our bank will process your information in our bank statement including any information contained in the payment reference (such as company or entity name where your business is a legal entity) or personal or business name (where you are a sole trader), the reference inserted by you in relation to the payment your sort code and account number. Our bank stores information about you in the UK. Generally, we not receive information about you from third parties. The third parties from which we receive information about you will generally include people who recommend our services to you, including our existing or previous customers as well as from our business partners, ICHCA and Cool Logistics Resources. In certain circumstances (for example, to verify the information we hold about you or obtain missing information we require to provide you with a service) we will obtain information about you from certain publicly accessible sources, both EU and non-EU, such as business directories, media publications, social media, and websites (including your own website if you have one). This section sets out the circumstances in which will use and disclose information about you to third parties and the third parties to which we will disclose information about you. Our third party service providers are located in the United Kingdom. Your information will be shared with these service providers only where necessary to provide you with the service you have requested, whether that is accessing our website or ordering goods and services from us. Legal obligation(s):legal obligations to disclose information which are part of the laws of England and Wales or if they have been integrated into the United Kingdom’s legal framework (for example in the form of an international agreement which the United Kingdom has signed). Sharing your information with third parties, which are either related to or associated with the running of our business, where it is necessary for us to do so. These third parties include our accountants, advisors, business partners, and insurers. Further information on each of these third parties is set out below. Occasionally, we obtain advice from advisors, such as accountants, financial advisors, lawyers and public relations professionals and other specialists. We will share your information with these third parties only where it is necessary to enable these third parties to be able to provide us with the relevant advice. Business partners are businesses we work with which provide goods and services which are complementary to our own or which allow us to provide goods or services which we could not provide on our own (for example, website documentation or online payment services). We share information with our business partners where you have requested services which they provide whether independently from, or in connection with or own services. Our business partners are: are located in the United Kingdom and include, amongst others ICHCA (https://ichca.com/) and Cool Logistics Resources (http://coollogisticsresources.com/). Legitimate interest(s):sharing your information with a prospective purchaser, seller or similar person in order to allow such a transaction to take place. Server log information: we retain information on our server logs for 24 hours after which they are deleted. Order information: when you place an order for goods and services, we retain that information for seven years following the end of the financial year in which you placed your order, in accordance with our legal obligation to keep records for tax purposes and to defend against legal claims. Enquiries: when you make an enquiry, whether by email, via our contact form or by phone, we will retain your information for as long as it takes to respond to and resolve your enquiry, and for one further year, after which point we will delete your information. using Secure Sockets Layer (SSL) software or other similar encryption technologies to encrypt information you submit to us via our website’s contact form. Information you submit via our contact form is proceed by our email provider. For further information, please see email immediately above. sending an email to nli@nextlevelinfo.com, asking that we stop sending you marketing communications or by including the words “OPT OUT”. It is possible that we could receive information pertaining to persons under the age of 18 by the fraud or deception of a third party. If we are notified of this, as soon as we verify the information, we will, where required by law to do so, immediately obtain the appropriate parental consent to use that information or, if we are unable to obtain such parental consent, we will delete the information from our servers.  If you would like to notify us of our receipt of information about persons under the age of 18, please do so by sending an email to nli@nextlevelinfo.com.